Fees associated with filing trademark applications in Tajikistan as well as other trademark fees are available in the fee calculator. 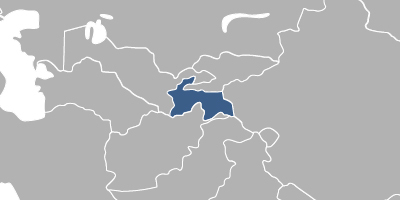 Multiple-class trademark applications are possible in Tajikistan. - a list of goods/services for which the registration is requested. A certified copy of the priority document should be submitted within three months from the filing date. A simply signed Power of Attorney should be provided to the Tajikistani Patent Office within 1 month from the filing date. The non-official opposition may be filed during the whole term of examination before issuance of the decision to grant a certificate on the trademark in Tajikistan. The trademark in Tajikistan is valid for ten years from the date of filing. The term of validity of a trademark registration may be extended at the applicant’s request that should be filed during the last year of such validity term, each time for a period of ten years. The trademark may be renewed within six months after the due date by paying the fine. Legal protection of a trademark may be cancelled if the trademark has not been used within any period of three continuous years after registration. The corresponding request may be filed to the Appeal Board by any interested person after the expiration of these three years. Foreigners should perform the trademark prosecution in Tajikistan through an agent, a registered Tajikistani trademark attorney.